Shopping for Sofia the First Statues? Princess Sofia the First is the Disney Junior new girl in the crown! Dressed for the ball in a lavender gown and glittering tiara, this delightful image of the spunky commoner turned royalty is the latest creation from the artistry of Jim Shore. 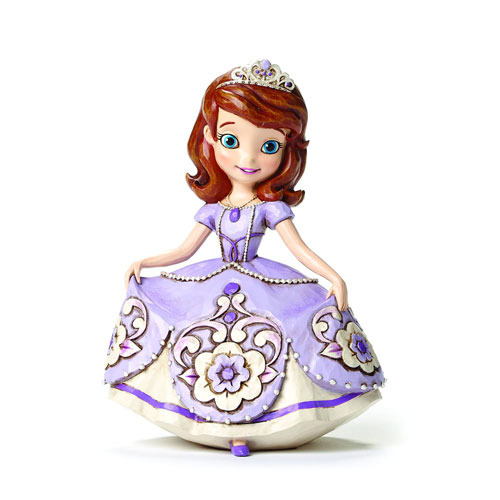 The Sofia The First Disney Traditions Statue is made of stone resin and stands 5 1/2-inches tall.